We are very excited to launch our first Graphic 45 retreat on the 20th and 21st of July 2019. You will create a scrapbook layout. No need to take photos unless you want to, they can be added later. 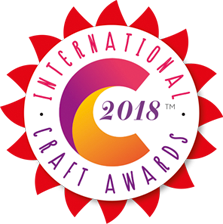 Cost: £20 per class or book 3 classes for £45..
we are absolutely thrilled to bits to announce that we have been nominated in the Best Independent Retailer - Scotland category. To celebrate the launch of our latest range of exclusive stamps, toppers and papers.